The brilliant, ecologically responsible and high performance alternative to disposable chemical light sticks. Powered by super-bright "Microlight XT," the LED Wand has more uses than we can shake a stick at. Simple to activate and operate, powered by long-life, easy-to-replace lithium batteries (included), the LED Wand illuminates in every environment. The wand itself is an extremely durable light transmitting polycarbonate rod. It has a polished end to project a spot-beam in addition to the illuminating glow. Because it's lightweight, waterproof, and naturally buoyant, it's perfect for diving, boating and other water sports in addition to dry activities. It has four functions: High beam, Low beam, Strobe, and Signal. 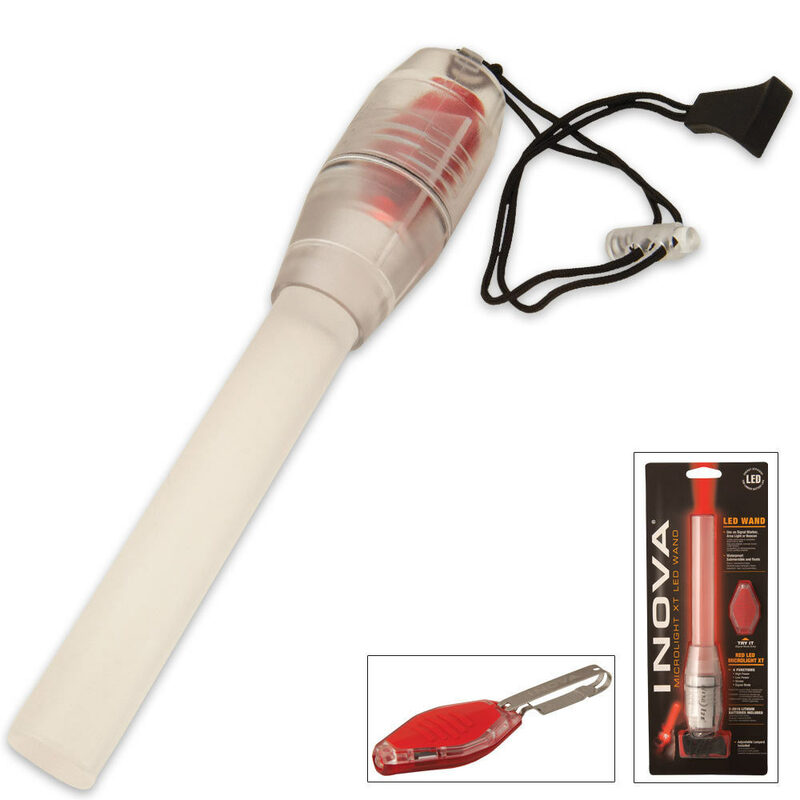 These diverse usage options make the LED Wand an excellent signal marker, flashlight, emergency flare, and spot beam. An excellent addition to your glove box, boat, camping gear and bug-out bag.